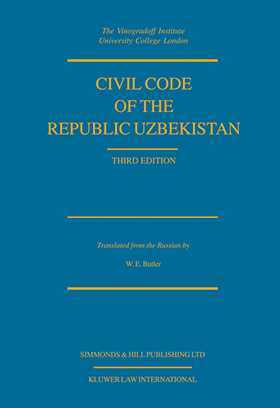 Uzbekistan was the first of the CIS countries to formulate and adopt a new Civil Code. The initial Civil Code came into force on March 1, 1997. Although based largely on the Russian Civil Code, the Uzbekistan Code has evolved its own distinct characteristics. This edition of William E. Butler's expert translation contains the latest revisions up to August 15, 1999.